Thousands of US soldiers are going into battle fueled by all sorts of prescription medications, be they amphetamines, antidepressants, sedatives or others. Largely unmonitored consumption of drugs can lead to aberrant behavior and mental disorders. ­Over 110,000 American service personnel took prescribed medications in 2011 to battle through everyday military routine. The Times recently disclosed that nearly 8 per cent of active-duty American servicemen and women take sedatives and over 6 per cent are on antidepressants, a tremendous eightfold increase since 2005, when two wars in Afghanistan and Iraq were in full swing. Routine military service, combat stress, and sometimes lack of sleep force American troops to go to work medicated. It mirrors the general situation in American society that uses prescription drugs on a daily basis at levels unseen before. In the Army, though, those who opt to modulate their lives with drugs are facing challenges of a non-civil nature that supposes an absolutely different level of responsibility. These men and women are well-armed, after all. As a rule, troops are sent to deployment with 180-day medication supply. But soldiers can always trade favorite pills with their friends. The habit of ending a hard day with a handful of various tablets is apparently nothing extraordinary. "We have never medicated our troops to the extent we are doing now…. And I don't believe the current increase in suicides and homicides in the military is a coincidence," said Bart Billings, a former military psychologist who hosts an annual conference on combat stress, informed The Los Angeles Times. Painkillers of narcotic nature pose a threat of addiction to those injured who have to take them, too. 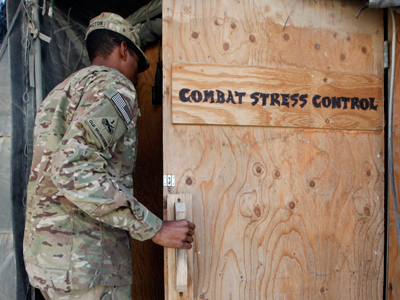 One could only guess whether the suicide rate surge in the US Army in the recent decade has any connections with army psychologists prescribing pills to personnel left, right and center. 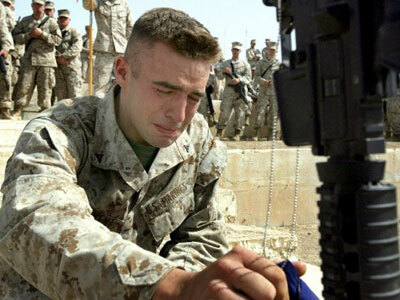 An appalling 80 per cent increase in suicides among US service personnel has been registered between 2004 and 2008. On the other hand, when every 10th US serviceman deployed in Iraq or Afghanistan suffers from Post Traumatic Stress Disorder, there must be a calculated risk in prescribing these medications to keep soldiers in service. But the main problem among deployed troops remains mental fatigue of those who have been deployed several times in a row. As many as 80 per cent of on-duty personnel have gone through three or more deployments. Worn-out personnel have problems with sleep and accurate assessment of ongoing events. The recent notorious case of Staff Sgt. Robert Bales, accused of murdering 17 civilians in a bloody rampage in Afghanistan, again raised the question of drug-related incidents in the US military. After it was announced the defendant does not remember what he did, his attorneys requested a list of the medication the soldier was taking during his deployment in Afghanistan. 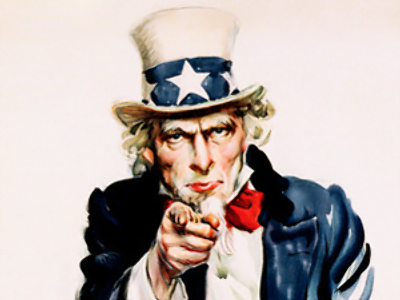 I Want You (not to go crazy in the US Army)!